Luigi’s Mansion for the Nintendo GameCube has been one of my favorite games ever since I sucked up my first ghost in 2001. I make it a point to go back to it a few times throughout the year and the 10-year gap before the announcement of Luigi’s Mansion: Dark Moon was always filled with hope that Nintendo would someday revisit the franchise. 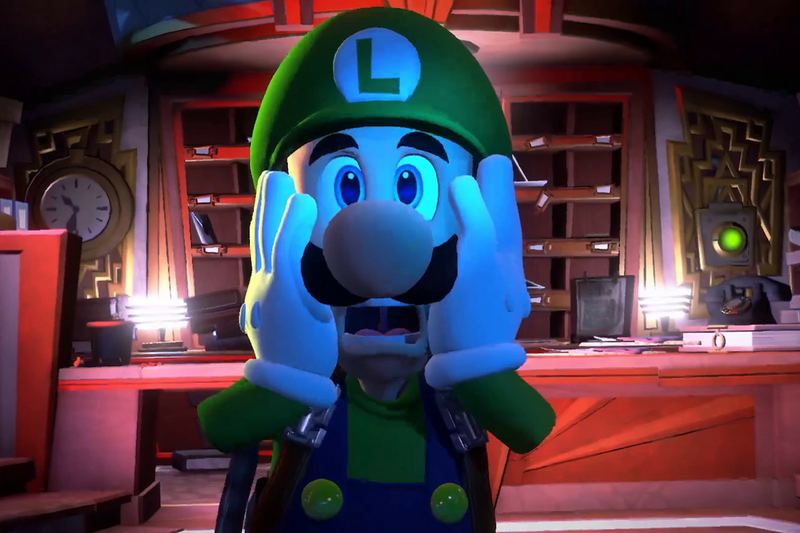 The most recent Nintendo Direct opened the presentation with an announcement of Luigi’s Mansion 3 for the Nintendo Switch. This is the first proper console release for the franchise since its GameCube debut. I am looking forward to it, but I can’t help but to enter the initial stages of hype with tempered expectations. The above-mentioned Luigi’s Mansion: Dark Moon set a tone for the series that I am worried Nintendo will continue with in the upcoming entry. Dark Moon is by no means a bad game, I had fun playing through it. But it lost a lot of what made the original so special. The first Luigi’s Mansion took place in an eerie mansion filled with apparitions who all resembled the old residents of a long-gone home. Every room had a unique style with an accompanying “Portrait Ghost” who could only be captured when players found, and exploited, its weakness. The necessity to understand the ghost and what made them tick, made the act of capturing them much more intimate. A baby who just wanted to play, a child afraid of wetting the bed, and a fortune teller who longed to enjoy the peace of their painting. All of these ghosts had something more to define them further than just a nameless enemy. If someone asked who my favorite ghost was in Luigi’s Mansion, I might tell them the old lady who spit at me because I ruined her knitting, or the pianist who had an extensive knowledge of retro game music. They made me laugh, they scared my younger self, and they had me eager to see what I would find in the next room I ventured to. The portrait ghosts were without a doubt the highlight of Luigi’s Mansion and continue to invite me back so many years later. The mansion itself also served as a character. After completing an area, that section of the mansion would light up and players could see how this was once a comfortable place to live rather than just a haunted house. You could read letters left by the ghosts, see what books the residents read, or even the toys that the kids would play with. Perhaps even find some family portraits that contextualized relationships. You could go back to the rooms of the ghosts you defeated and see the way their personalities were spread out across their room. There was so much to find and learn, and it felt like everything you were uncovering was further defining the mansion that Luigi was roaming through. When I first played Dark Moon I was so excited to explore and see what I would find, but to much of my dismay I quickly realized that everything I loved about the first game was completely missing from this sequel. The largest offense was that there were absolutely no portrait ghosts. Instead, the mansion was full of uninspired filler ghosts. Sure, there was some variety thrown in to keep things a bit fresh, but fighting the same types of ghosts was underwhelming to say the least. Even the bosses were generic tropes of what we would find in an amusement park haunted house. Oh snap, it’s a big spider, how icky. E. Gadd and King Boo were fun to be around, but a far cry from the variety of ghosts that we met in the original. The mission-based structure was also a determent. 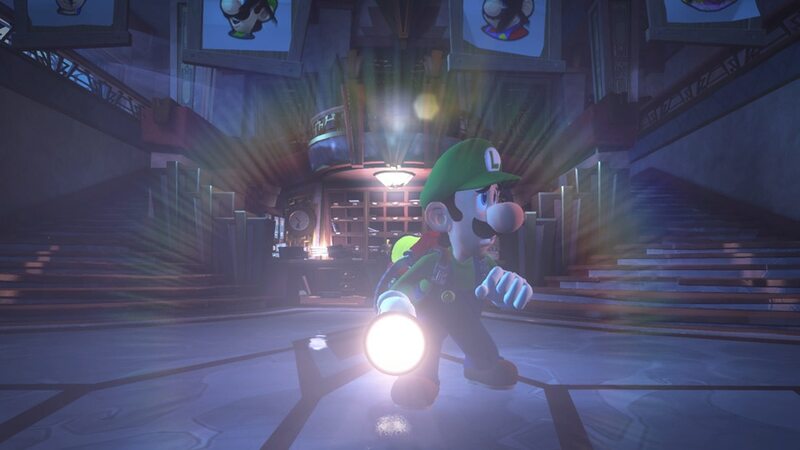 Luigi’s Mansion gave players a chance to explore and find their way to different rooms. Yes, you were pulled out after boss fights, but it only happened 4 times throughout the game. And with the idea that your vacuum got full after a large-scale ghost, it made sense narratively. It helped generate an idea that captured ghosts were just chilling in your vacuum until you pressed them back into paintings. Dark Moon felt the need to hold your hand through everything. You would do a little bit and then you’d be patted on the back and brought out of the game and told what to do next. 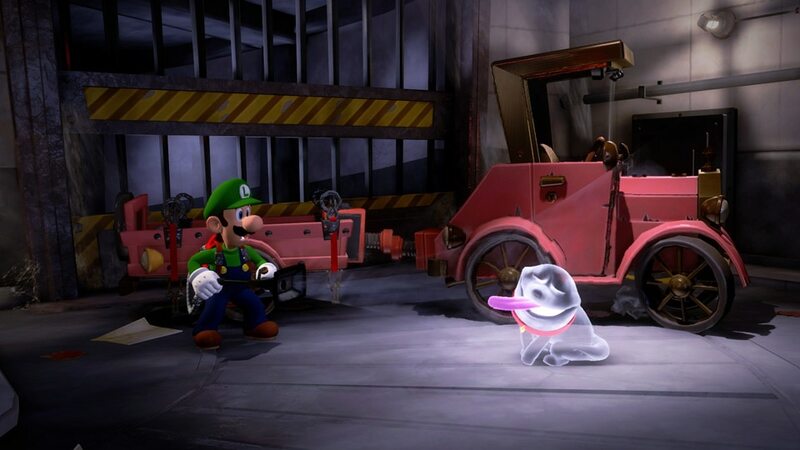 Luigi was no longer exploring a haunted mansion to search for his lost brother. Instead, Luigi was just E. Gadd’s errand boy. It killed the sense of discovery and exploration that the first game handled so well. It’s not that there was no instruction in the first game, there were waypoints on your GameBoo Horror to let you know where to go next. But this was all done in the mansion, without E.Gadd pulling you out to let you know what to do. My final major gripe with Dark Moon was the inclusion of so many mansions. It was nice to see some variety in the form of locale, since we were definitely not getting that via enemy type, but having so many mansions made it hard to develop the same sense of connection that players could to the original mansion. One of the largest criticisms of the original was that it was too short. I totally agree with this, at the time, and even now, a 3 hour experience for a $50 price tag was asking too much. But pumping up the number of mansions players would go to, felt like an artificial way to increase playtime. Especially when none of the mansions felt particularly fleshed out. Just when I would start to understand a layout of a mansion and get a sense as to what type of place it was, I was pulled out and thrown into another mansion. 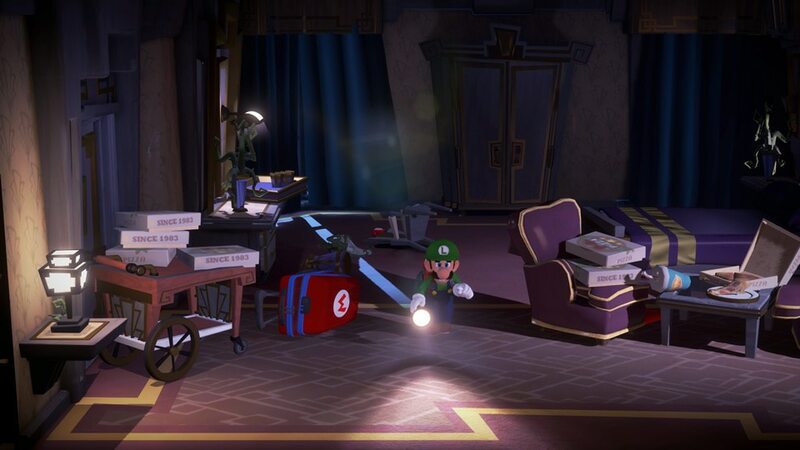 There were indeed some cool places to be found in Dark Moon, so it might have been nice to take the best aspects of all mansions and turned it into one large location for Luigi to explore. Once again, I believe the motive here was quantity over quality. It is a lot flashier to put “Explore multiple mansions” on the back of a box rather than “Explore one mansion”. I don’t hate Dark Moon. 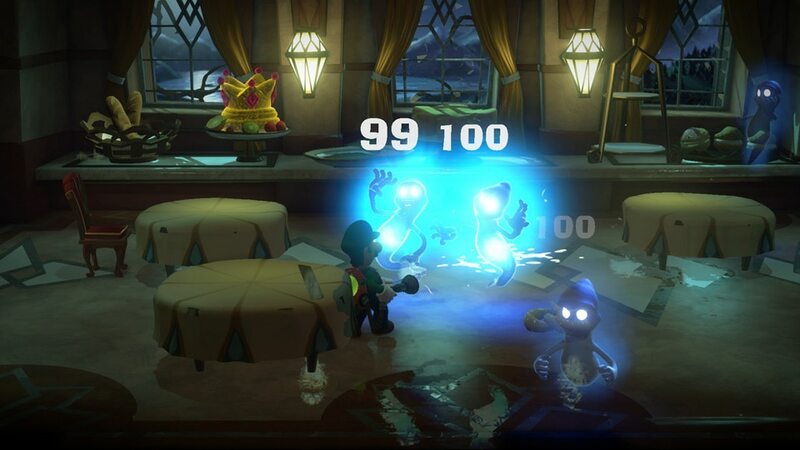 As I said, I had fun playing it, and it was nice to be in the Luigi’s Mansion world again. But it derived so much from the original, and I really think there was a lot of missed opportunity there. My only hope is that Nintendo decided to take a more arcade-like approach for the sequel due to its exclusive release being on a portable console. A mission structure does help make a game more accessible for shorter bursts of play, and perhaps portrait ghosts were excluded due to already having so many mansions in the game. So all we can do is be hopeful. Nintendo is rereleasing the original on Nintendo 3DS this month, perhaps to help generate excitement for the new release. And the teaser for the new Luigi’s Mansion does show a very large building, so perhaps we will be here exclusively for the entire duration of our stay. The enemy types did seem to resemble Dark Moon more than the original, but it is too early to determine exactly what we will be playing next year. Excluding the arcade game, Dark Moon was only the second foray into the franchise for Nintendo. I think that 3 is going to be much more telling as to what we should expect in the future, but the original shows that Nintendo has something special with this series. All we can do is sit back and see what they decide to do with it.